Turned newels with a volute at the bottom of each side of the stairway is a popular choice among StairSupplies™ customers. 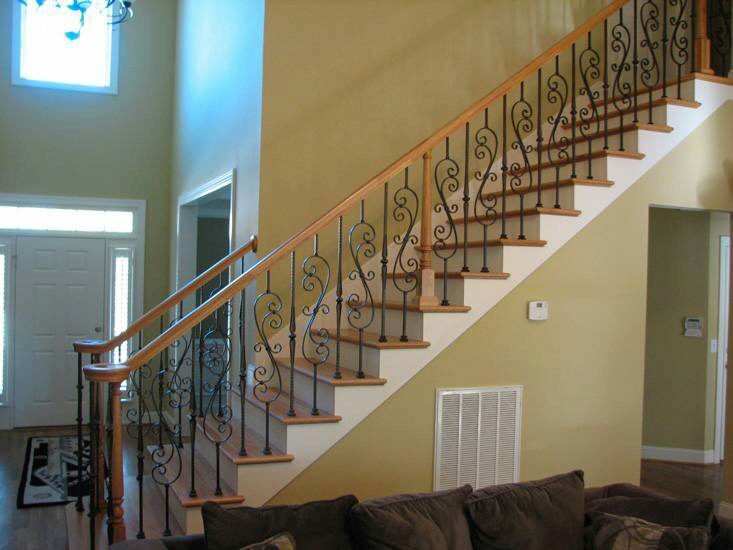 The volute gives a finished look to the stairway and pairs wonderfully with the Scroll Series Iron Balusters. Click here to view your entire Turned Newel offering.